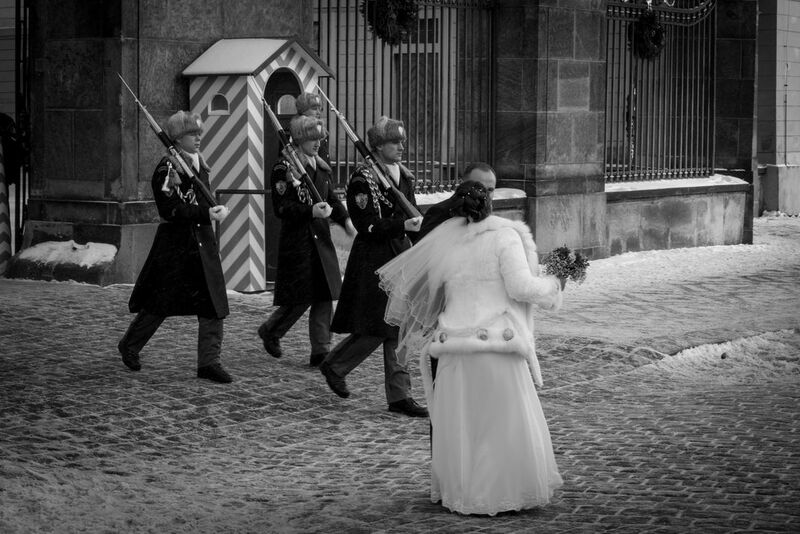 Two newlyweds pause in the midst of a light snow in front of Prague Castle for a wedding photo. As they took up position, the white of her wedding gown blending with the fresh snow, the changing of the guards occurred. Date Uploaded: Nov. 25, 2013, 3:37 p.m.